At approximately 2:20 a.m. local time on June 17, 2017 the US Navy Destroyer USS Fitzgerald suffered a collision with the Philippines-registered container ship ACX Crystal approximately 64 miles southwest of Yokosuka, Japan. The 29,000-ton container ship suffered minor damage and was not impeded from continuing its journey to Tokyo. The 9,000-ton Arleigh Burke class USS Fitzgerald, on the other hand, suffered significant damage on her starboard side. Based on early reports, the USS Fitzgerald was in danger of sinking, and seven of her crew members lost their lives. First and foremost, we extend our sincere condolences to the families and loved ones of the seven sailors who lost their lives. This collision reminds us that there is no such thing as a “safe” deployment. Because of what those seven sailors suffered and what their families are now paying, decency demands that we be cautious in drawing conclusions about the causes of the collision. Our US Navy, along with the broader US defense community, exists to ensure the sovereignty of the United States of America and the freedom and safety of her citizens. Modern, extravagantly expensive and highly complicated Burke class destroyers play a critical role in that mission. These ships are an important and finite asset, and we currently have sixty-one of them in active service with fourteen more in various stages of design and building. 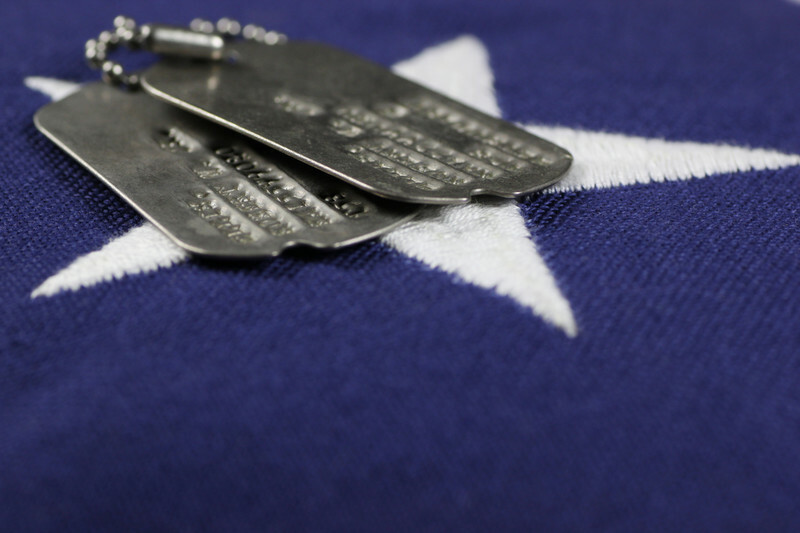 From my perspective, the loss of any service member always matters. Now, and at a time when only a small minority of eligible young Americans are willing to serve in our military, it is even more important for our military to do what it can to minimize personnel casualties. In modern corporate America, workers are generally disposable and easily replaceable, but in the modern US military, qualified soldiers and sailors are a precious resource. The US military is in the business of war, and human losses are a grim, but somewhat unavoidable, result of war and war preparations. However, we must endeavor to not waste the lives of our service members due to inadequate equipment, doctrine, training, or leadership. In an attempt to avoid similar calamities in the future, the US Navy and the US Coast Guard will each conduct thorough independent investigations of the collision. The Navy will, in fact, conduct two parallel investigations. The Japanese Coast Guard is also conducting an investigation, and the Philippine government has, not surprisingly, announced that it, too, will conduct its own investigation. In addition, beyond all the official investigations, any number of intelligence services from a variety of nations will be searching for any unusual evidence relative to the collision. All investigations of maritime calamities rely on constructing an accurate and detailed timeline of the events leading up to and subsequent to the impact. The communications logs, navigations logs, bridge recordings, and all physical evidence from the USS Fitzgerald and the ACX Crystal must be examined in detail. Also, all members of both crews must be questioned. The investigators have not had time to gather and examine all of the statements and evidence, and they have yet to offer any conclusions concerning the causes of the accident. The fact that the professional investigators have yet to draw conclusions has not stopped the legions of not-professional armchair naval experts from reaching ironclad conclusions. The fact that those ironclad conclusions of the not-professionals seem to change by the hour does nothing to dissuade these folks from fervently and passionately espousing what they consider to be irrefutable fact. Many Americans care a great deal about our Navy, our entire military, and our nation’s defense. That perhaps explains their need to have immediate answers as to whom or what caused the disaster. I salute their patriotism. For a democracy to survive, it requires the diligence of enough of its citizens to overcome apathy. However, I suggest to them that they remain flexible in their views until more evidence is available. Some of the opinions being passionately expressed are, to say the least, a bit colorful. Most collisions at sea do not involve complex conspiracies or exotic causes, and a collision in a shipping route at night in busy waters is not altogether rare. This collision has our attention because it involved one of our valuable “Burkes,” and because seven sailors lost their lives. Many of the conspiracy theories popping up are influenced by several key factors. First, the night was clear. Even on a clear night at sea, haze can impair and distort a helmsman’s or watch stander’s view, and judging the distance and speed of another ship at night is not as simple as it sounds. Even so, in this day and age, we all quite reasonably expect that any modern US Navy warship has adequate radar, sonar, transponder sensors, and adequate information processing systems to detect and note an approaching 29,000-ton freighter. It begs the question, how did the Fitzgerald and ACX Crystal not see each other in time to avoid a collision? In theory, only one of the ships’ crews would need to be aware of the other ship in time to avoid a disaster. The second reason the public is suspicious is that the accident occurred near Japan, where China and/or North Korea might be able to easily influence events. I, too, am suspicious. In fact, I am justifiably suspicious of the North Koreans and the Chicoms every moment of every day. However, we must remember that suspicion is not, in itself, evidence. Third, some early and not yet verified statements indicate that the ACX Crystal had her running lights and her navigation transponder off. At this point, my suspicion is that her transponder was on, but I may be wrong. I am not sure about her lights. If they were in fact off, then that may well have been a major contributing factor to the collision. We will have to wait for all the crewmen to be questioned and data logs from multiple sources to be examined before we know if those assertions are accurate. A fourth factor that drives suspicions of foul play is the fact that as a container ship, sophisticated electronics warfare equipment capable of damaging or temporarily obstructing radar and radio systems could conceivably have been loaded on to the ACX Crystal without the knowledge of the captain or crew. Such equipment could have been activated remotely. At this point, I estimate that Communist China wants war with the United States even less than we want war with China. In spite of all the propaganda out of China, and in spite of her current efforts to expand her naval power, China remains at a strategic disadvantage in any potential war with the United States. North Korea has been, and remains, less rational in its decision making as compared to China, but the distances between “would do it” and “could do it” remain substantial for now. One possible factor that many members of the public might not be aware of is the fact a US Navy warship might at times operate without its full suite of Aegis systems active. Aegis is a powerful and brilliant radar tracking system, but the more powerful a radar system is, the more easily it can be detected by opponents. I have no information indicating that the USS Fitzgerald was on that night, or any night, operating in “quiet” mode. I am simply explaining that it is one possibility. I understand the tremendous need for answers and explanations. I feel the same way. I share your anger. I want to know why those sailors died, why our ship was damaged, and who or what is at fault. This sad event is important to me, because our national security is important to me, and because I consider all US military members to be my brothers and sisters. We share an oath that matters to me. I know that this calamity is also important to many of you. We owe it to the lost sailors and to their families to find the real causes of the collision. I hope that as a country, we will not rely on emotion or conjecture, but rather wait for investigations to lead us to accurate conclusions, because as you read this, many other US Navy and allied ships and sailors are sailing in dangerous waters, and we need accurate information to prevent more loss of life and more damage to valuable ships. Our deepest sympathies to the families and loved ones of these fine sailors. Hi, Holmes, thanks for writing this. You mentioned the Coast Guard in connection with the investigation. Could you say a little more on their role, when the matter happened in Japan? Do they have a role around naval bases or US military installations outside the US? Best wishes. Hi Richard. Thanks for your question. The US Coast Guard has more complex responsibilities compared to the Coast Guards of most nations. In this case, they are conducting the investigation on behalf of the Transportation Safety Board. In general terms, they are the USA’s maritime safety experts. Secondarily, the USS Fitzgerald was operating as part of US 7th Fleet (Far East). The US coastal waters and navigable inland waters are the areas of primary responsibility of the US Coast Guard. The USCG’s experience in US coastal areas gives them vast experience in safety inspections and investigations. If they were not already conducting an investigation for the NTSB, the Navy would likely request that they conduct one. The US Navy does not want to conduct the only professional investigations of this event. As to Coast Guard responsibilities outside of US coastal regions, the CG is expected to maintain assets and competency in anti-submarine operations. Larger Coast Guard Cutters (small as compared to an Arleigh Burke DDG) routinely sail as part of naval task forces around the world. The USN and USCG share responsibilities for drug and contraband interdiction in South American and Caribbean waters, but the Navy relies on the CG to make any formal arrests. Small Coast Guard detachments often sail on US Navy ships, conducting anti-pirate and anti-smuggling patrols to handle the formality of arrests. Another common area of foreign operations for the CG would be in the polar regions. They operate our (now too few) Ice Breakers. The Navy has formally reiterated to the DOD and the Congress that the USCG will have to handle all operations in the increasingly busy arctic region. USN subs in the arctic region will remain the one exception. During WWI, the US Coast Guard took primary responsibility for US convoy efforts. In that role, they suffered the highest casualty rate of the US forces involved in WWI. In amphibious operations, CG coxswains often handle the small landing craft. The USCG is jokingly referred to as “puddle pirates” by US Navy personnel. The actual working relationship between the USN, USMC, and USCG is quite good. Thank you for a measured and thoughtful assessment. Hi, Dave. You are welcome. We know it was on, since tracking data was made public (AIS). Hi Ron. Allegations have been made that the transponder was either not working consistently or it was “spoofed.” I can’t prove it at this point, but I suspect that the transponder was both on and working properly. Since I am not in a position to be certain, I won’t state it as fact. Thank for listing the names of the sailors who lost their lives. I have not been able to find out –was the Fitz. underway at the time of the collision or was it DIW (Dead In The Water)? Does anyone know the true answer to this question. Many of the people leaving “You Tube” videos to me seem to be people who have not been in the US Navy, have no answers and are only posting what they believe. Most people never heard of the collision between the USS Frank E Evans and the Australian carrier the HMS Melbourne on June 3rd 1969. I served aboard the USS Tawasa ATF-92 which towed what remained of the Evans to Subic Bay. Hi, Sailor. Thus far I have the impression that the Fitzgerald was underway at a relatively low speed, and the ACX Crystal was attempting to overtake her. The details matter a great deal but those details are not yet available. I was an RD3 aboard the USS Tawasa-ATF-92 that towed the after half of the Evans to Subic after the collision. Regardless of whether the ACX Crystal was running with or without running lights, even if her transponder was off, not working, or choked, this accident should not have happened. 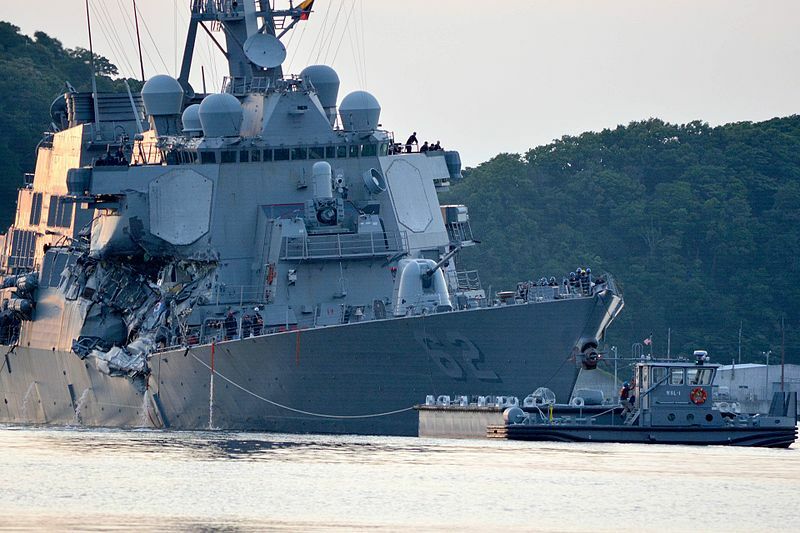 On Navy ships there are far too many redundant systems, watches, radars and personnel assigned during underway steaming for this kind of accident to happen. As a former Naval Officer and ship conning officer, I know that the bridge watch should have been tracking, monitoring and logging CPA’s of all ships within several thousand yards of them and the officer of the deck should have known the location, speed, CPA’s, and position of all nearby vessels. Safe navigation of that ship is the officer of the deck’s most important job when on watch and that the OOD and the Commanding Officer of the Fitzgerald will ultimately be held accountable for that collision and rightfully so. Their failure to follow basic seamanship and watchstanding protocols led to the death of seven sailors. Regardless the Captain of a Navy ship is always ultimately responsible and will be held accountable. Hi John. I agree that this accident should never have happened and that seven sailors should not have lost their lives that night. More importantly, the CNO and SecNav undoubtedly agree with you. Neither of them will be asking for my opinions about this tragedy. That said, I am still curious to know the details of what occurred. That surely won’t be the last time a US Navy destroyer prowls that area and that particular seaway will always be likely to be crowded with more than merchant traffic. Sir, one of the causal factors of collision is the Colreg 72 indefinite terminologies and provision, as such. under the IMSAS audit IMO includes res.1085 – AMENDMENTS TO THE INTERNATIONAL REGULATIONS FOR PREVENTING COLLISIONS AT SEA, 1972, AS AMENDED , After existing part E (Exemptions), a new part F is added to read as follows: Verification of compliance with the provisions of the Convention. A good example the phrase ample time and with due regard is qualitative nature and needs numerical values. The in extremis doctrine will validate my comments in this collision incident. In the USMC , sh@t rolls downhill. In the modern era navy the captain is always held accountable right or wrong. I have told people for years that the danger, separation from family and hardships are a very real component of peacetime as well as wartime military. In one word, ‘sacrifice’ to one degree or another is always involved. At the time of my post the captain, his exec and the master chief have al been relieved of duty. Protocol has been observed. But finding out who was directly responsible including the bridge watch officers and enlisted, coxswain included, is still elusive. Even if sh@t rolls downhill in this incident it may help avoid a similar tragedy. Pray for, or at least pause to think of all our active duty military when you find a moment of time to appreciate our country and our freedoms. Hi Jim. Thanks for your response. The investigations are ongoing. Not too surprisingly, years of maintenance budgets being cut into, high tempo of global operations leading to low maintenance availability issues, and shrinking shipyard capabilities have contributed to ships going to sea without proper maintenance, equipment, and skills certifications. The Navy has relieved the 7th Fleet commander. Of course if he or anyone else in the Navy had said, “Wait, we can’t do all of this with what we have,” that person would have been transferred to a psychiatric care unit in northern Alaska. To his credit, CNO Richardson is being frank with everyone in his responses. Congress still won’t want to hear it.